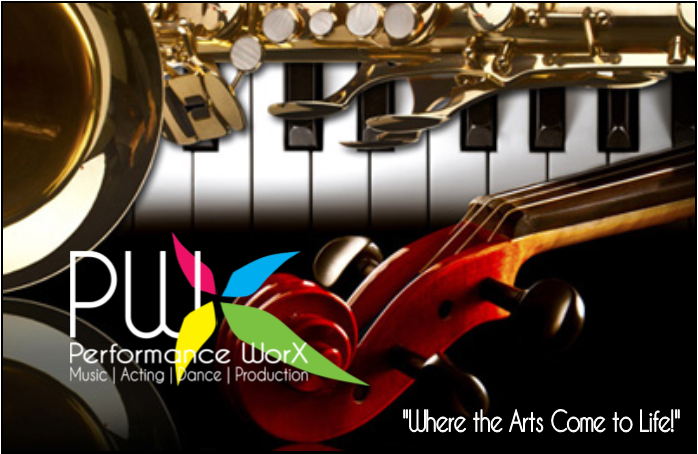 Music WorX, recognized by the Music Teachers National Association, offers piano lessons at the beginning, intermediate, advanced, and professional levels. 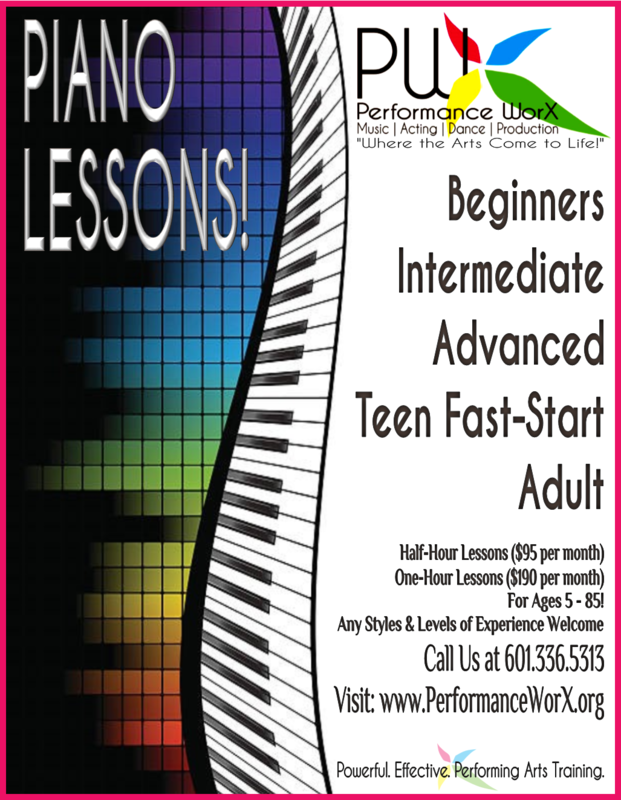 Lessons begin at age 5 and we offer a special teen and adult fast start program for those who always wish they had taken piano lessons earlier. 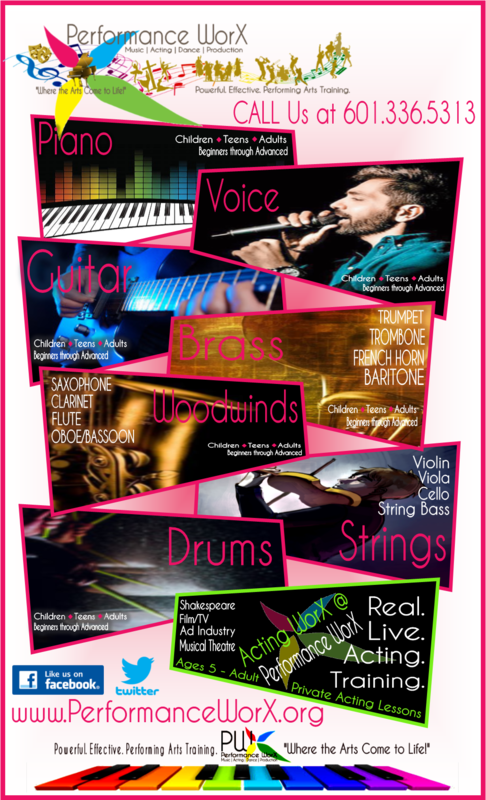 Our beginning programs are 12-key based and provide an excellent foundation for the budding artist and future performer. Lessons are given on a half hour and one-hour basis, depending on the needs of the student. Our piano program is highlighted by our award winning INTERMEDIATE AND ADVANCED PIANO PROGRAM, led by Doug Broome. 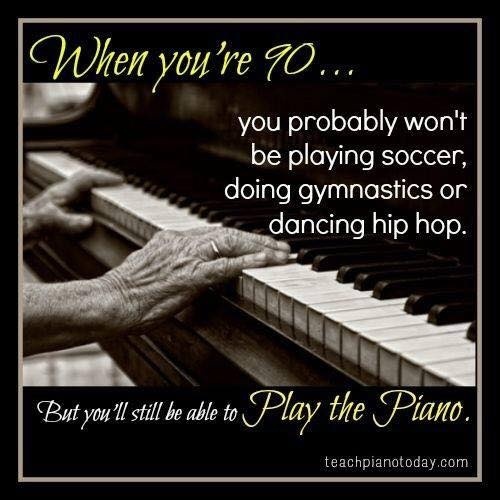 The advanced program is a teen and adult piano specialization focusing on technique, composer studies, contest and scholarship participation, and performance preparation. For more specific piano questions and answers, please click here! ALL TUITION PRICES LISTED ARE THE MONTHLY PRICE FOR THE ANNUAL MEMBERSHIP PLAN!! 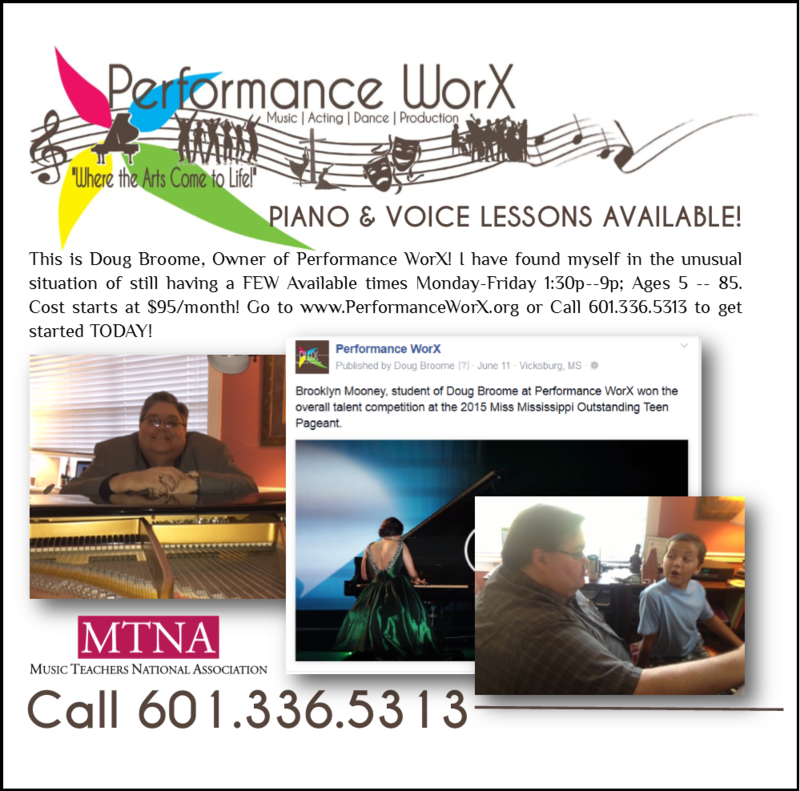 Doug has over 35 years of experience teaching through college-level vocal performance classes and specializes in technique and development in the Old Italian Bel Canto style; beginning through advanced piano for children through adults of all ages, specializing in adult fast-track piano, and coaching amateur and professional performers. 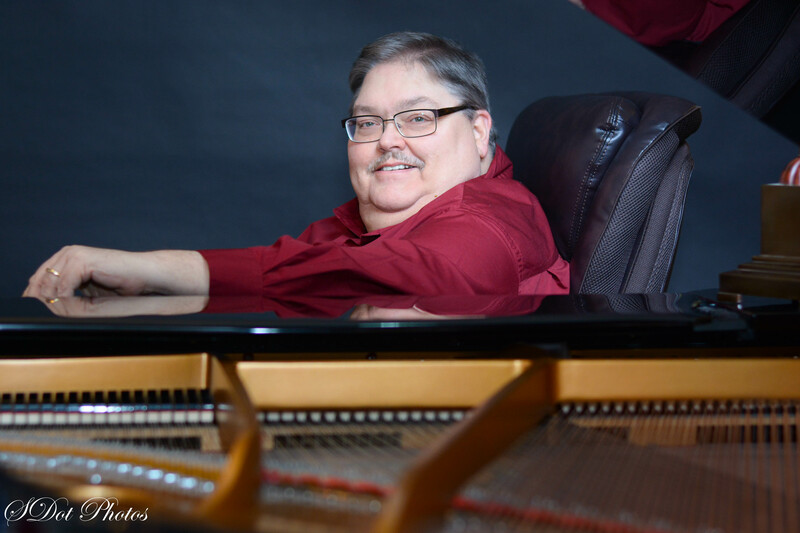 He also has, for over 40 years, performed in recitals, concerts, musicals, operas, television, and worship services as either a pianist or singer. Doug holds the Master of Arts in Opera & Theatre Performance from The University of Iowa, both the Bachelor of Arts in Music and Master of Library Science from The University of Southern Mississippi, and is abD in Church Music/Vocal Pedagogy from New Orleans Baptist Theological Seminary. 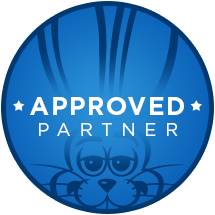 Today, he manages our daily operations as the Company President/CEO of Performance WorX, and also serves as one of our resident piano and voice instructors. For over 5 years, Ross Andrus has had the pleasure of teaching, arranging, and performing as a Faculty Member with the Performance WorX Family. Ross takes immense pride in teaching wind instruments, piano, percussion, and music theory. His Alma Mater is The University of Southern Mississippi, where he majored in Jazz Studies and Music Education. During his college years, he played Tenor and Bass Trombone in many solo and ensemble settings. Ross studied with Trombone Professor, Dr. Marta Hofacre, who taught him the importance of performing with the best sound in mind, no matter the level of technicality. While learning to play music in the jazz idiom, Ross was assigned to study under Leland “Lee” Kornegay. After a semester of playing in small groups and ensembles, Ross had an “A-Ha” moment. After listening to Lee’s instruction and demonstrations on his trumpet, Ross took on a new musical mentor. He also acquired an affinity for writing and arranging for chamber groups, wind bands, rock bands, jazz combos, and jazz ensembles, to name a few. Ross was a member of the USM Orchestra, Wind Bands, Jazz LAB Bands, Pride of Mississippi Marching Band, and Jazz Combos. Before attending Southern Miss, Ross went to Acadiana High School in Lafayette, Louisiana, where he decided to pursue a career in music. While playing in an hour of band class, Dr. Hofacre decided to drop by after travelling through the area of recruitment for USM and taught an impromptu trombone master class. Not only did she leave a lasting impression on him, but she unknowingly recruited a future student of hers. Being born and raised in Lafayette, Louisiana, Ross was always around good music, whether it was listening to his dad play bass, grandfather on Cajun fiddle and accordion, or road trips to New Orleans. His influences range all the way from Paul Simon to Queen, and Duke Ellington, Wynton Marsalis, and JJ. Johnson. Enroll in the class of your choice by clicking to register below or call Performance WorX at 601.336.5313 to set up lessons with Ross Andrus today! Pianist Jorge Andrés Ossa is from Colombia, South America. 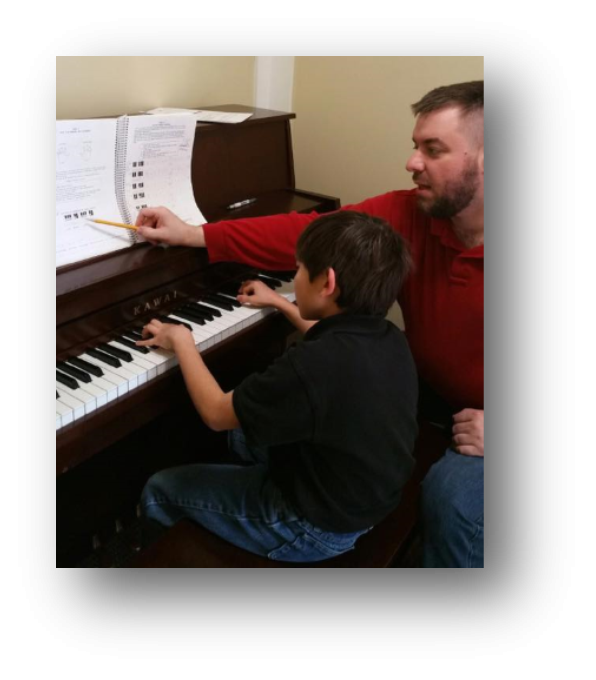 Currently he is pursuing a Master of Music in Piano Performance with Dr. Elizabeth Moak at the University of Southern Mississippi. He has performed in various venues as a soloist and chamber musician throughout Colombia. In 2015, he was invited to participate in the Festival of the Americas in Iowa City where he had additional studies in piano technique and learning skills for the piano with Réne Lecuona. He previously studied piano with Ana María Orduz and Marina Gonzalez. He has performed in masterclasses of Teresita Gomez, Blanca Uribe, Jasmin Arakawa, Jeremy Samolesky, and Sergei Sichkov, among others. 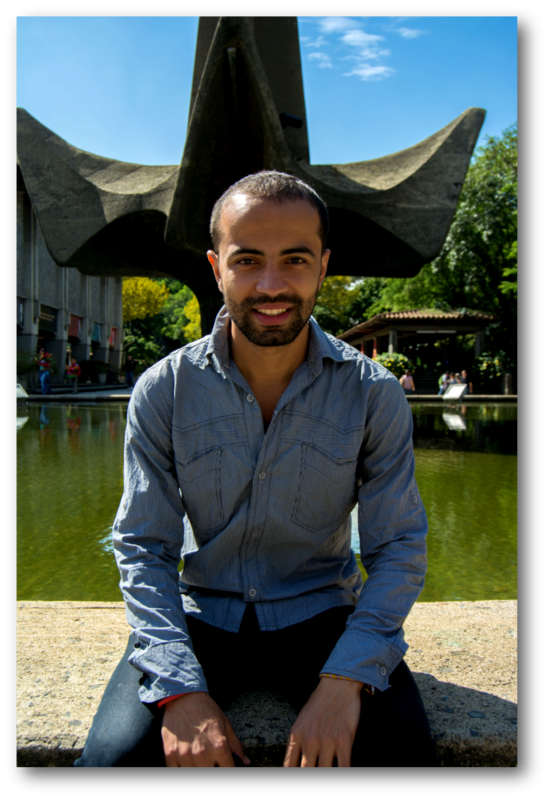 Jorge also holds both a Bachelor of Music in Piano Performance and Bachelor of Music Education from the University of Antioquia (Medellín, Colombia). In addition to performing, Jorge finds joy in teaching and has been active in this area since 2010. He taught for four years on the faculty of the extension program at the University of Antioquia, as well as for five years at Academía Musica Amadeus Colombia, and three years at the San Pablo Seminary.